How exercise can help your hypoglycemia? Participating in some sort of physical activity for a recovering hypoglycemic is not optional but essential. The benefits of working out are numerous. Physical activity improves our oxygen intake, increases our lung capacity and strengthens our heart. But perhaps most importantly for the hypoglycemic working out can rapidly increase their recovery and lessen their symptoms. There are many types of physical activity that can help a hypoglycemic, these range from walking and running to a full intense gym workout. 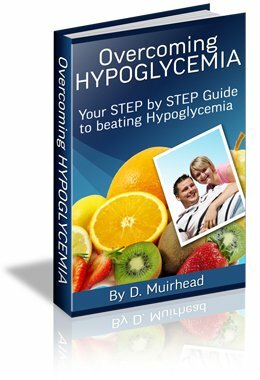 In the ebook Overcoming Hypoglycemia you will learn how to plan a programme that is right for you. This will include a comprehensive printable guide that will take into consideration your interests and time schedule and allow you to construct a plan that is right for you. You will also learn exactly much time it will take to burn calories gained by eating the wrong foods which will act as an added incentive to stay away from the wrong types of foods!